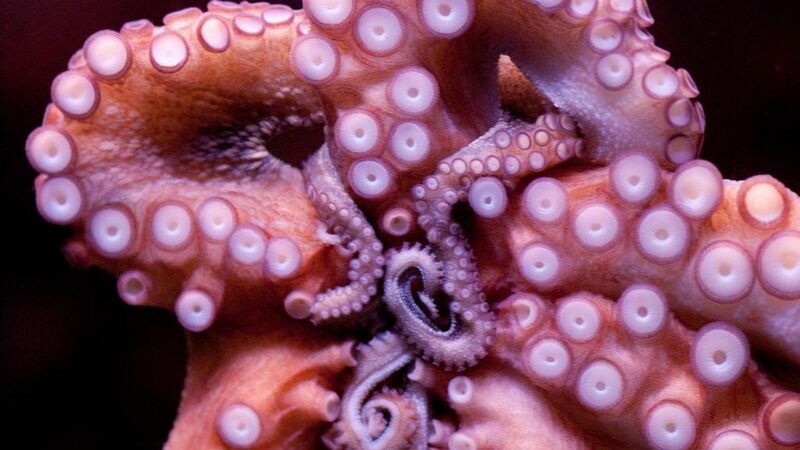 Octopuses are some of the most intelligent creatures on Earth. They can open jars, escape fish tanks, are expert tool-makers, and are skilled in camouflage thanks to their ability to change in both color and texture. A team of scientists led by Joshua Rosenthal at the Marine Biological Laboratory and Eli Esienberg at Tel Aviv University have found that octopuses and their relatives — the coleoid cephalopods, including cuttlefish and squid — have the ability to edit the RNA information encoded in their genes, possibly allowing them to rapidly and temporarily respond to environmental conditions or tasks. Why it matters: Coleoid species are the rare few who edit their RNA. It's unclear if it is responsible for their incredible intellect, but Noa Liscovitch-Brauer, a member of Rosenthal's team, says "that would definitely be my guess."